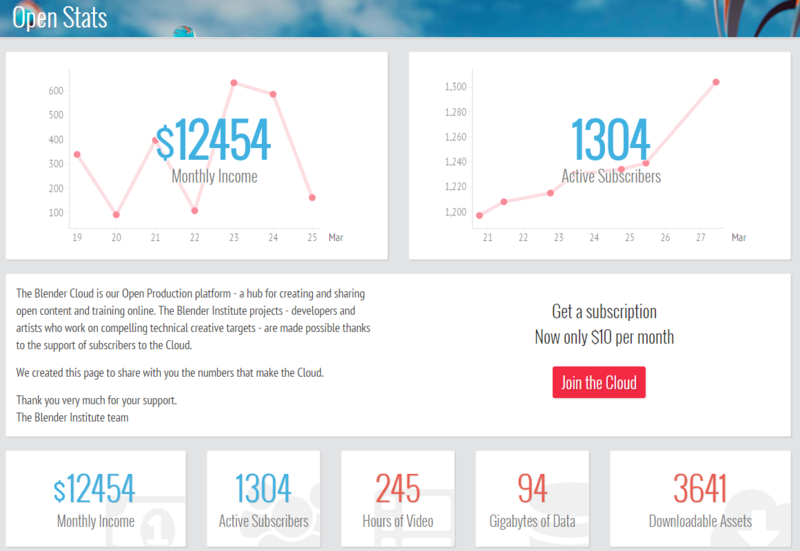 Blender Cloud Stats Open for All! When we shared the Happy Cloud 2 video and the new Cloud dashboard feature, we promised that more Cloud stats would be available soon. The goal is, of course, to push all of these numbers up, up, up over time. And, in the meantime, Francesco, Pablo, and others will continue to work to make the Cloud even more transparent and easy to use for subscribers and members of the community. Will we be able to see the stats from the beginning, rather than just over the 7 last days ?